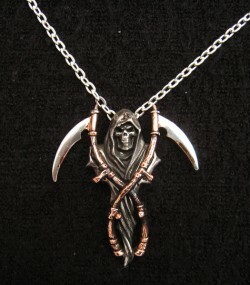 Unique two-tone pewter design resulting in another excellent alchemy design. Harvester of sorrow and badge of fate. Bear the Reaper on your chest.